The good news is we won the war. But now the battles have begun and, unfortunately, the damage is already being felt. States across the US have seen their federal enrollment outreach funding slashed, in some cases by as much as 90%. Illinois got "lucky," losing only 31%. Our newsletter this month focuses on the tools and messages we will use to fight back this latest attempt to inflict harm on the Affordable Care Act. All hands on deck for OE5! The ACA was not repealed, but it endured some body blows. Uncertainty drove up premiums for 2018, and a hostile government did what it could to undermine the law. The enrollment period was cut in half. HHS staff were barred from participating in enrollment efforts. Renewal notices are not going out to those covered, as they have in past years. Worst of all, federal funds for outreach were cut 89%. And HHS is pouring those savings into efforts to further diminish enrollment, such as producing videos about how consumers are "burdened by Obamacare." 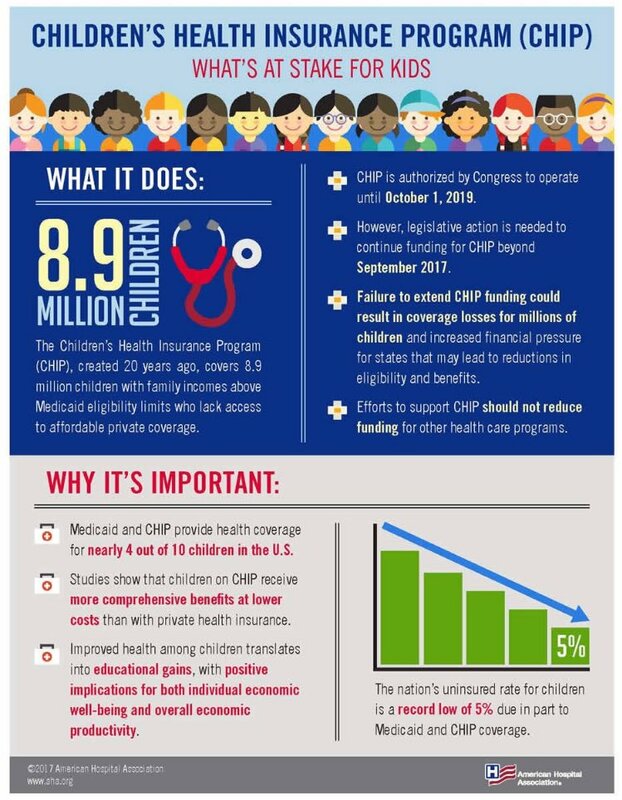 For the first time since the program started in 1997, Congress missed the September 30 deadline to reauthorize the Children's Health Insurance Program, a vital program that covers 9 million kids. The good news is that a renewal measure cleared the Senate Finance Committee on October 4. We need to remind Congress that reauthorization needs to come to the floor for a vote. Call Congress (202) 224-3121. Tell them we must work together to get this done for the children and families counting on CHIP. 2018ACAEnrollment has just one goal: Helping state and local Indivisible groups work together to promote 2018 ACA Open Enrollment. A coalition working to prevent repeal of the ACA, to prevent disastrous changes to Medicaid, and to protect & expand access to quality, affordable health care. We will continue to work together, and to keep you informed.